Because you don’t need any equipment whatsoever, And can do this literally anywhere! Switching up your workout venue can help keep you motivated. And AXX lets you do that! We’ve got separate workouts for gym and home for each muscle group. So you choose where you want to work out! Sound good? Check us out here! P.S. The same old cardio routine day after day can get dull. Instead, work a different muscle group each day and get your cardio fat burn at the same time. These 5 exercises help you hit the WHOLE CORE Abs, low back and obliques!! BEST MOVES FOR A STRONG CORE!! You guys asked for it, we deliver! Another real time spin workout you can follow along with. 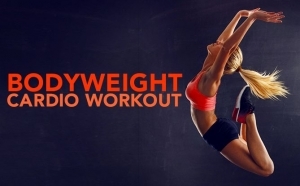 To boost your heart rate and get that lower body fired up!